Shaklee Optiflora Probiotic Complex is just an average probiotic. We gave it 2.5 out of 5 stars because it has some things we like and things we don’t. First off, this probiotic is unique because the pearl capsules are so tiny. These are probably one of the smallest probiotic capsules I’ve ever tried. They are roughly about half the size of a tic-tac. This is a perk for those who don’t like swallowing big pills. It’s also easy and convenient because you don’t have to refrigerate it and you only have to take 1 pearl capsule daily. The probiotics are made with triple-layer encapsulation technology. 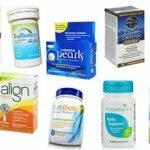 This technology is meant to help deliver the probiotics to the large intestine, where they offer the greatest benefit. I also like that it’s gluten free and they don’t use any artificial colors, flavors, sweeteners, or preservatives. This probiotic isn’t allergy friendly. It contains SOY and GELATIN. Soy is a problem for a lot of people. Gelatin isn’t as common of an allergen but it does exist for some. This probiotic also isn’t very strong or diverse. It only has 500 million cells per capsule, which isn’t a ton. It’s also not very diverse because it only has 2 probiotic strains. 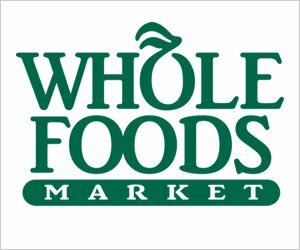 So overall, I think it’s an average probiotic that has some pluses but also negatives. 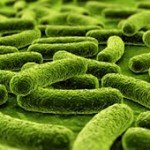 Shaklee Optiflora Probiotic Complex contains 500 million cells in 2 probiotic strains. One strain used is Lactobacillus acidophilus. I like this strain because it’s been extensively researched and is one of the most commonly used probiotics. It’s been studied to show improvement with Irritable Bowel Syndrome (IBS), Crohn’s disease, diarrhea, and constipation. Lactobacillus acidophilus may also help treat urinary tract infections (UTIs) and lactose intolerance. It also has been shown to boost immune function. The second strain used is Bifidobacterium longum, which is naturally found in the gastrointestinal tract. This strain may reduce the effects of food allergies, lower stress, and decrease gastrointestinal discomfort. Shaklee Optiflora Probiotic Complex has some allergy concerns. The capsules contain SOY and GELATIN. Soy is in the form of soy lecithin. It’s gluten free and doesn’t have any artificial flavors, sweeteners, colors, or preservatives added. The other ingredients include: palm oil, glycerin, and pectin. That works out to $0.74 per day to take this probiotic. That’s a bit higher than average, but nothing crazy. I think it’s a decent price for the value. It’s definitely gentler and less potent than a lot of probiotic supplements out there. 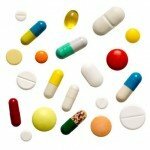 This can be good and bad because it usually means less side effects but the effects in general are often less, too. There is a “Shaklee Guarantee” offered to their customers. This guarantee is honored only if the product was bought directly from Shaklee. You have 60 days to get a full refund, minus shipping and handling. I really like when companies can stand behind their products. 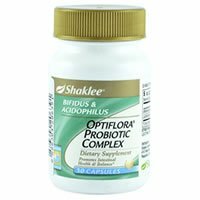 To buy Shaklee Optiflora Probiotic Complex, click here.